A great throw on layer for chilly morning sessions at the crag or around town. 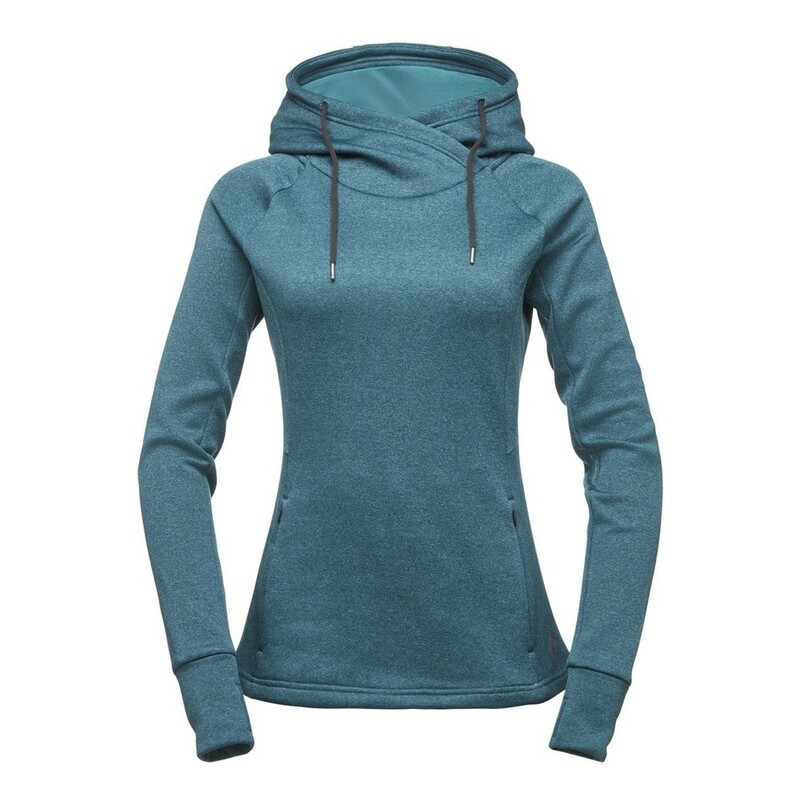 New for 2018, the Women's Tech Hoody offers great stretch and breathability with its blend of polyester and spandex in the fleece construction. The thumb-hole cuffs tuck in extra warmth whilst preventing the sleeves from sliding up. The cosy hood with adjustable drawcords will also pack in the heat.